Who is Brett Brown, and why does this wanna-be, first year coach of the Philadelphia 76ers still have a job? The Sixers are 0-13. That’s the worst start in the team’s history, and their roster is full of players I’ve never heard of. My son went to seen them play and he said they look like crap (against the Knicks at MSG – and he had courtside seats! Dat’s my boy!) Anyway, to top it all off, Brett Brown, whoever he is, coached last season at Boston College of all places. He’s not even NBA material! What is the NBA record for loses to start a season? Eighteen. So why are people even watching the Philadelphia 76ers play? To see them break the “record?” I mean seriously? And the kicker is that the Sixer’s webpage is begging people to purchase packages, not just individual tickets, but Ticket Packages!? Seriously? 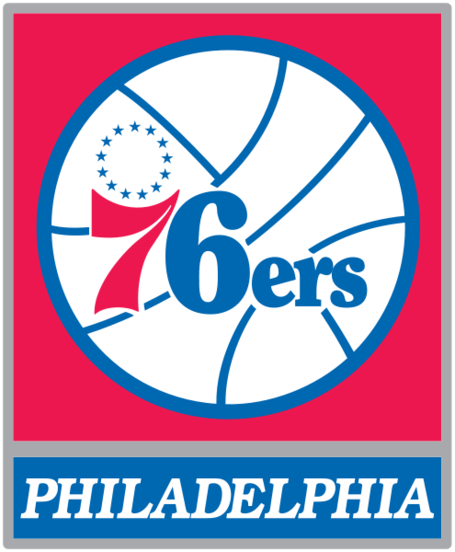 When are these same 76ers going to win a game? When are they going to snap out of this slump? What is a fan to do? Keep hope alive. We’ve gotta remember that trouble don’t last always, and it can’t possibly get any worse, or go on like this forever. Right? What am I to do? We’ve got to remember the great teams that we’ve had, and hope that they will return, in new improved form. Where oh where are the great Sixer Teams of yesteryear, and the great players that played in South Philly at the Spectrum? And why am I even writing about the sad and sorry, hapless and luckless, can’t buy a win Sixers? Because we are a storied franchise with a rich history. I mean, we had Wilt “The Stilt” Chamberlain, Billy “C” Cunningham, Dr. Jr., Bobby Jones, Allen “The Answer” Iverson and Charles Barkley, The Round Mound of Rebound, to name a Hall of Fame few. And now we’re stuck with a bunch of bumbling bums who can’t even muster enough muscle to win a dag gum game. Oh well. Why are Sixer fans being tortured thus? Because all teams go through tough times. It’s a mirror and barometer of our lives. And the way to survive is to think on the past good and look toward and forward to a future hope. And Since its Thanksgiving, I guess we need to be thankful that they haven’t broken the record for loses to start a season. And our thanksgiving prayer will include a provision that God spares us from breaking that ignominious record. And why do the 76ers stink to high Heaven? Somebody has to be bad, and had the NBA asked for volunteers, the Philadelphia 76ers would’ve raised their hand and yelled, “Pick me!” Not that there’s anything wrong with Noel, the No. 6 overall pick in the draft. Well, there’s nothing wrong with him except for that injured knee — which supposedly will keep him out until at least December. Even when he returns, there’s that whole business about him being a rookie. What to the Sixers look like? The have the look of an expansion team, only probably not as good. But all of this appears to be by design. If they are this bad all season, we’ll control the fight for a high draft pick come next spring. And that’s something to be thankful for.